With a full year behind us, we want to share the collective impact these programs and support services have provided to so many individuals in the community. At the same time, Doctors Care expresses great thanks to the diverse group of funders, donors, partners and volunteers who share our vision of greater access for the underserved. 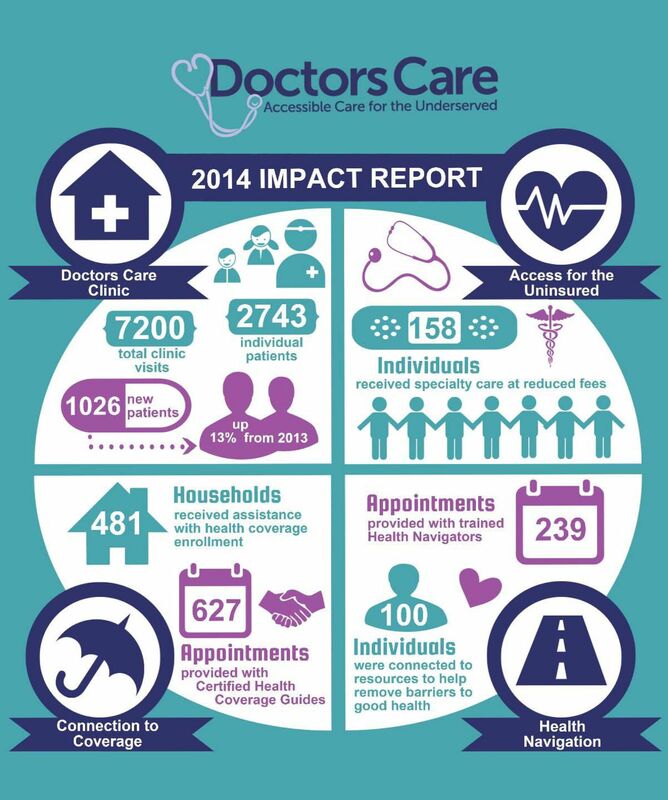 Stay tuned for even more great news from Doctors Care in our 2014 Annual Report, due out later this spring.